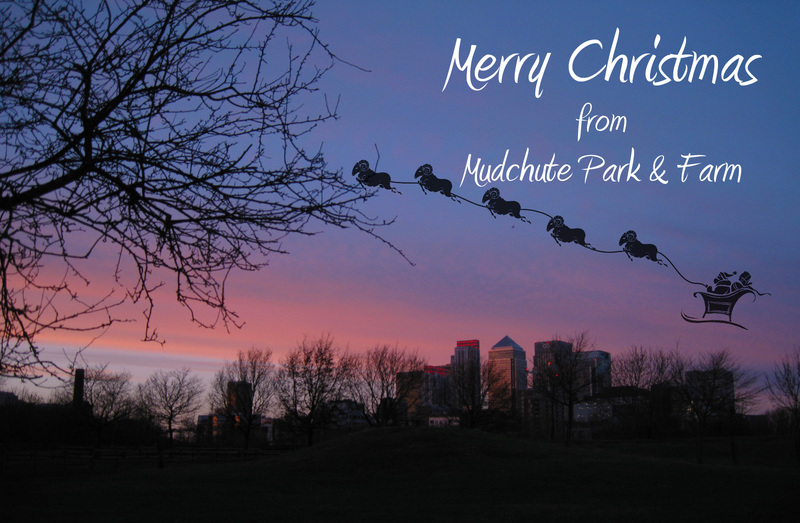 Over the past year we’ve been following the wildlife of Mudchute through the seasons. As 2013 comes to a close, take a look back over the year with our series of “Wildlife to Watch” posts, which you can find by clicking on the images above. We look forward to continuing to learn about our wild neighbours with you in the seasons to come. Last week we welcomed four new arrivals to the farm! 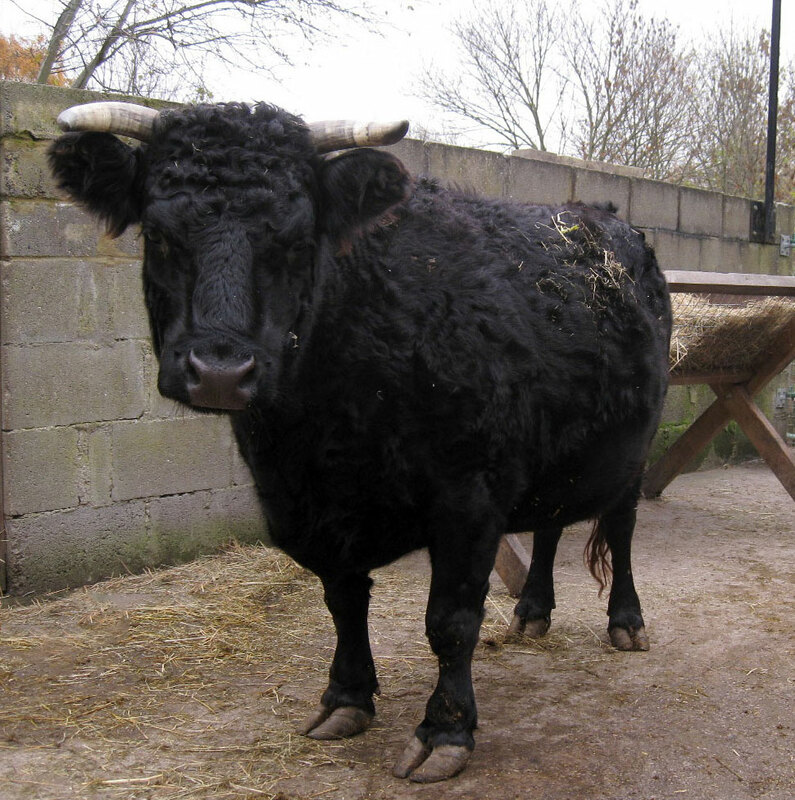 The newcomers come to us from Farming World in Faversham, Kent, who unfortunately closed last month. We are thrilled to be able to offer some of these lovely animals a new home and this would not have been possible without a very generous anonymous donation. Our new animals include a Gloucester Old Spot boar named Bruiser, a Vietnamese Pot-bellied sow named Princess as well as two short-legged Dexter cows named Dora and Delilah. All of our new arrivals seem to be settling in well and we hope they enjoy life in the city. We’ll be looking to update our Farm Animal pages over the next few days and our newcomers will also be looking for their very own sponsors soon! 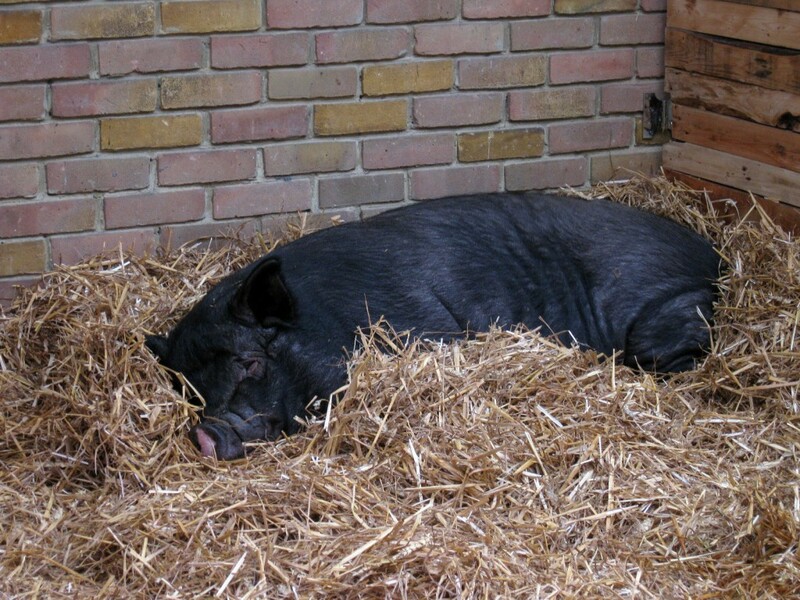 Princess the Vietnamese Pot-bellied Pig, resting in Pets Corner. 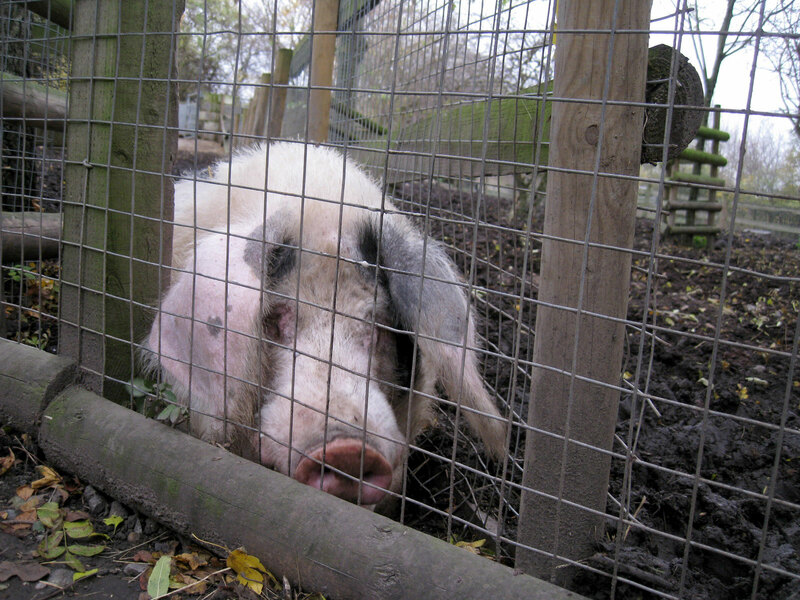 Bruiser the Gloucester Old Spot boar, enjoying the mud. 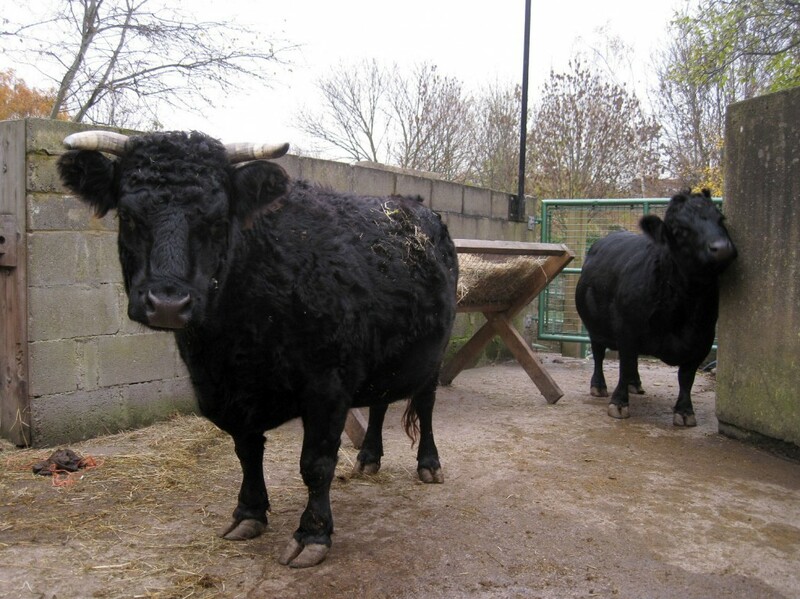 Dora and Delilah, our new short-legged Dexter cows.